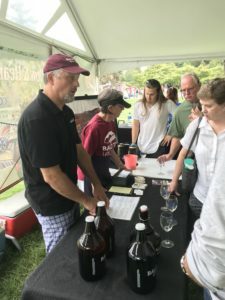 Last weekend I traveled to Madison County, VA for the Taste of the Mountains Festival. 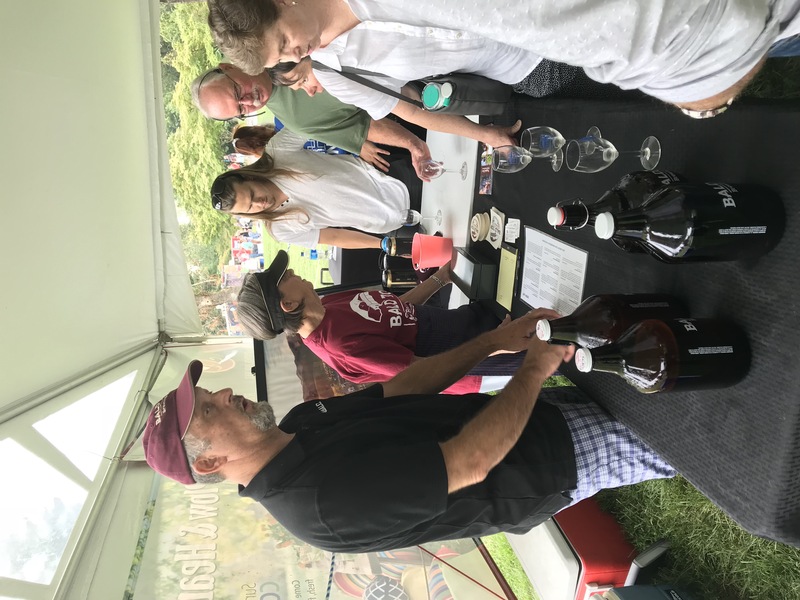 There were over 170 vendors selling some amazing handmade crafts, delicious homemade foods, fundraising for a number of worthy causes, live music, a beer and wine tent, and more. 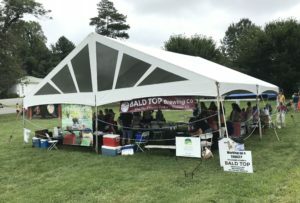 I visited the Beer and Wine Tent, and found four local wineries: Early Mountain, Prince Michel, DuCard, and Revalation Vineyards, but only one brewery- Bald Top Brewing. If you like wine, you would have been quite pleased with the selection of wines from these local vineyards. Reds, whites, Rose, and even some Rieslings. Most were fairly dry, some were a little sweeter, but all were excellent Virginia wines. Bald Top Brewing was not to be outdone by the wineries, and was pouring 6 different beers from their brewery. 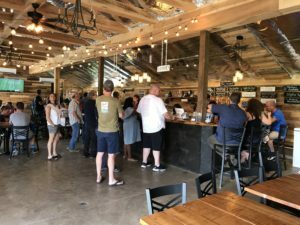 Owner Dave Fulton was on hand to talk about his brewery, Virginia’s First Historic Farm Brewery, and the wide variety of craft beer they are brewing there with many ingredients grown right there on the farm! After tasting samples of all six of the beers, it suddenly occurred to me that the brewery was less than a mile and a half from the festival. So after enjoying the great many other things the festival had to offer, a three minute drive brought me to Bald Top Brewing. Located on top a hill and in front of its namesake mountain. The tasting room has a spectacular view of the surrounding fields and rolling hills. There are chairs, picnic tables, a firepit, a stage, and even more outdoor seating covered by a tent. They grow a lot of their own hops, and other garden goodies which they use to create their hand crafted beers. There’s even a small hopyard just across the parking lot from the tap room. Inside, the wooden planked walls, and tables give it a warm, comfortable feel, and the wooden bar top slab adds to the rustic character. There were elevin craft beers on tap. 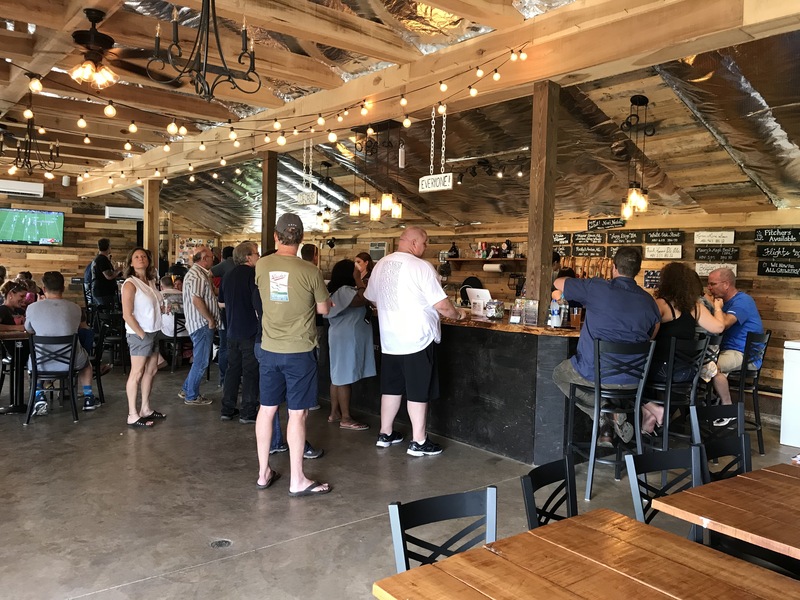 I sampled Price’s Pride Pilsner, Field of Gold German Wheat Ale, Manor House American Honey Wheat Ale, LazyDaze IPA, Rusty’s Amber Ale, and their Lemon-Lime Sour. Each one was true to their style, and yet still managed to distinctive and original. Each one paired beautifully with the spectacular veiw.